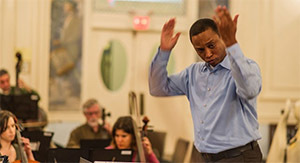 Hailed by the Lowell Sun for creatively pushing players "with respect, humor and great expectations" to performances which deliver "spontaneity and poise that rivals seasoned pros", Conductor Douglas "Ray" Daniels is building a reputation in the Greater Boston area for taking amateur orchestras to new heights. Ray is the chair of the Gann Academy Arts Department, music director for the Bentley University Chamber Orchestra and the Fall River Symphony Orchestra, associate conductor of the Waltham Philharmonic Orchestra. Among his many accomplishments, Daniels is the founder and artistic director of the popular 3rd Sundays @ 3 Chamber Music Series. This televised chamber music series highlighted chamber groups throughout the Greater Boston Area and across the country. In 2014, he was a finalist for the post of music director for the Arlington, Lincoln-Sudbury and Reading Symphony Orchestras. 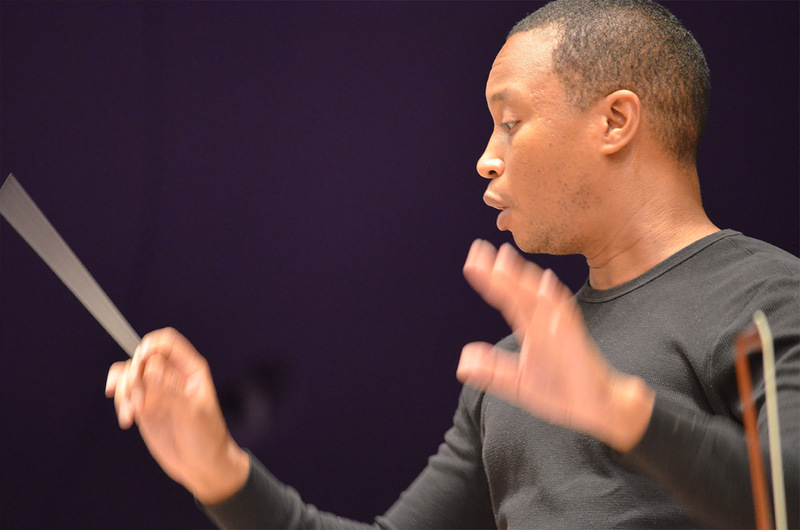 His past posts have included: assistant conductor of the Heartland Philharmonic Orchestra in Omaha, NE; the Marlborough Symphony Orchestra (now known as Metrowest Symphony) in Marlborough, MA; Sinfonia conductor at Philips Exeter Academy in Exeter, NH and the conductor of the Honors Orchestra at Nashoba Youth Orchestras. 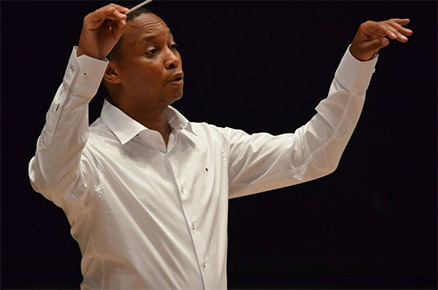 His Boston area guest conducting appointments have included the Melrose Symphony Orchestra, Boston Invitational Trombone Ensemble and Quincy Symphony Orchestra. In 2014 he was invited to work with the Berlin Sinfonietta in Berlin Germany and the Bohuslav Martinů Philharmonic Orchestra in Zlin and Kromeriz, Czech Republic. Also a composer, Daniels’ Rev. E.L. Knight for solo Tuba was premiered by the Boston Symphony Orchestra’s Principal Tubist, Michael Roylance, during the 2007 & 2013 Tanglewood season. Guided by a belief that music is “common ground” that bridges differences of humanity; Ray is particularly interested in engaging young (new) audiences. 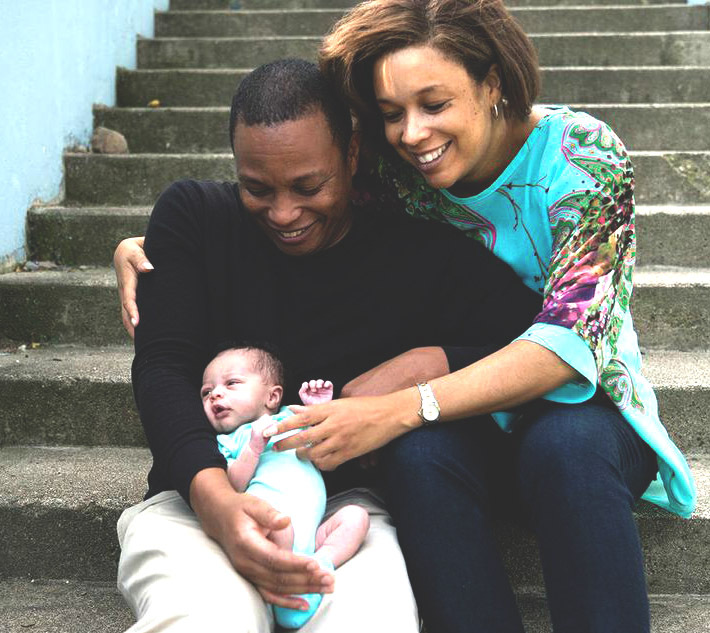 He makes his home in Medford, MA with his wife, Kikuyu and their daughter Zoë. Copyright © 2019, Douglas McRay Daniels. All rights reserved.